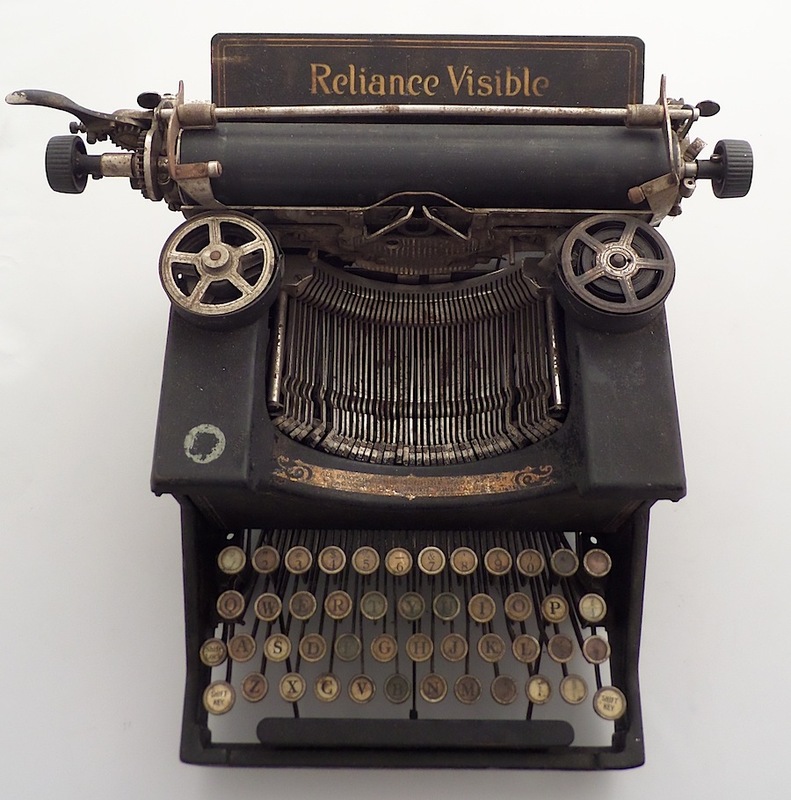 The Reliance Visible typewriter is a heavy machine with a rough finish. Introduced in 1915 or 1916, it was sold — and perhaps owned — by Montgomery Ward. 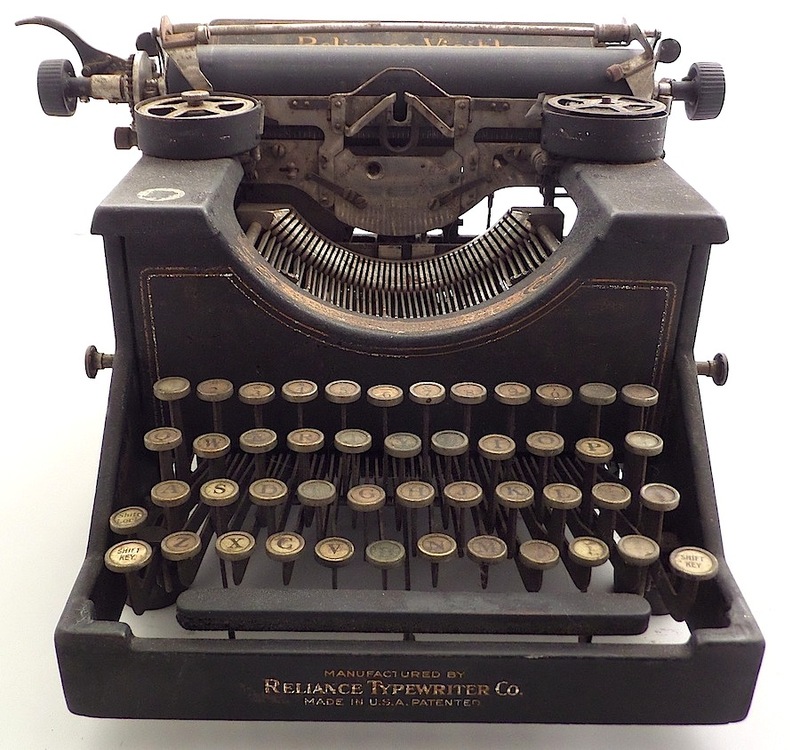 A fairly extensive history of this machine can be found here at Machines of Loving Grace and also here at Will Davis’ weblog. 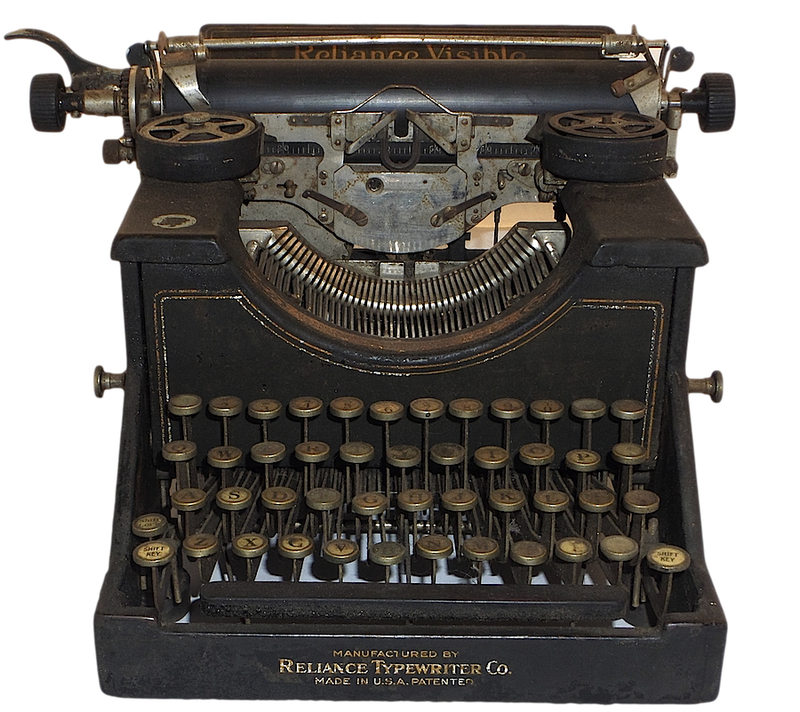 Herman Price describes the family of typewriters from which the Reliance descends here. There are two versions of the Reliance. One is described as the “old style,” which closely matches its predecessor, the Pittsburg Visible; the other is the “new style,” which is the type in my collection. 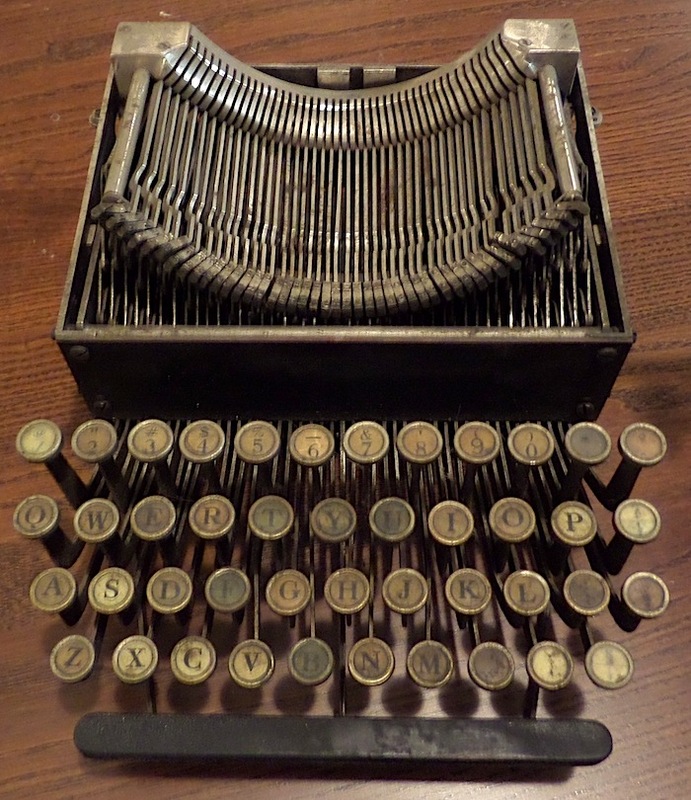 The Pittsburg Visible was manufactured by the Pittsburg Visible Typewriter Company.1 Somehow, Reliance (or Montgomery Ward) acquired the rights to the Pittsburg, and marketed it as an inexpensive alternative to more widely sold machines. 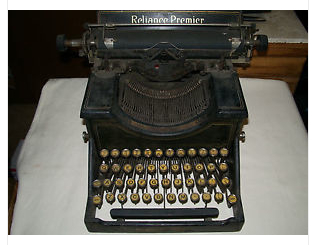 Priced at $48.50, the “old style” machine was about half the cost of other typewriters.2 The “new style” machine was more expensive (sturdier too?) and sold for $65 in 1915 (see ad below). Potential customers could try the machine during a free 30-day free trial, a common practice in those days. Unknown is whether Reliance sold the old and new style machines concurrently or successively. 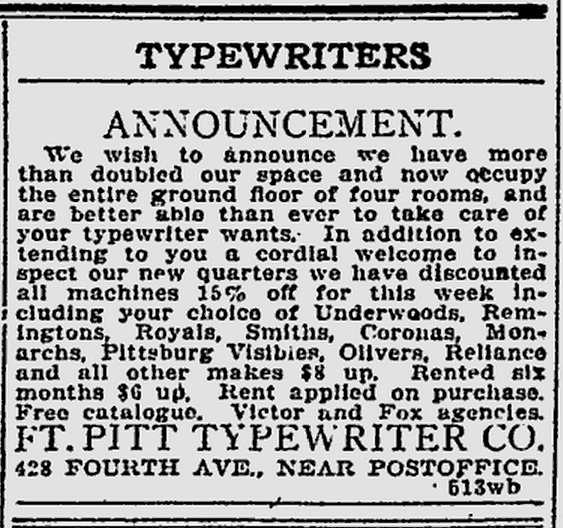 I will note that advertising suggests the “old style” sold first, and then the “new style.” I also note that the “old style” is still the old style, as it copies the Pittsburg. One distinctive feature of the Reliance was that the typebasket could be swapped out (see below). Various typefaces could be acquired for $30. This was a clever idea, but practical? How many of typefaces did Reliance/Montgomery Ward ever sell? The interchangeable carriage on my “new style” Reliance Visible. To change out the typebasket, one must remove four screws. On the “old style” machine, one simply pulls a key at the top of the basket (see next photo). Pictured here is an “old style” Reliance, a machine somewhat different than my own. The typebasket can be removed and swapped with another type set. Photo by Etsy seller Burlap & Brass. My machine has an exceptionally low serial number — 426-5 — which is stamped twice on the underside of the machine (front and back). Most serial numbers I have viewed are in the five-digit range. 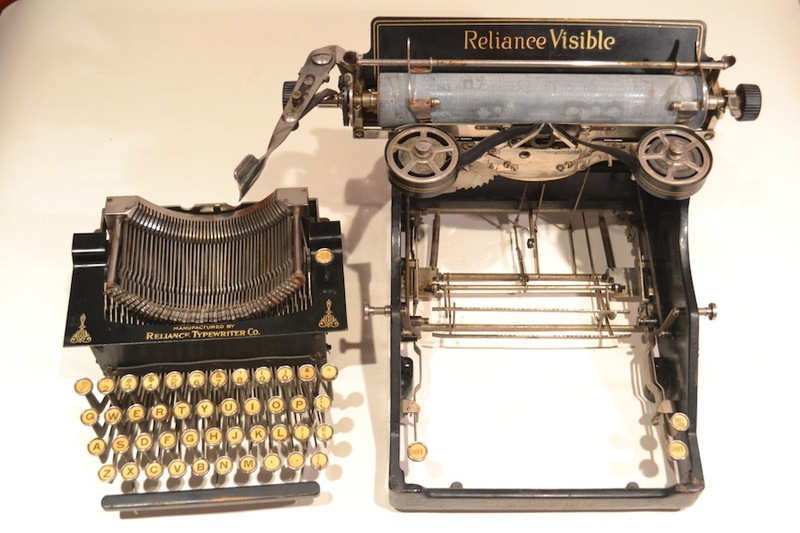 Herman Price at his website describes my type of machine as having a “new style” design, though that doesn’t help me to date it.3 Mine might be a very early version of the Reliance Visible, or a very early version of the revised machine. Revision: I’ve not located a serial number on the frame of my machine, but I did locate one on the interchangeable typebasket: 51982. Absent a number on the frame too, I can’t match the basket to the machine. 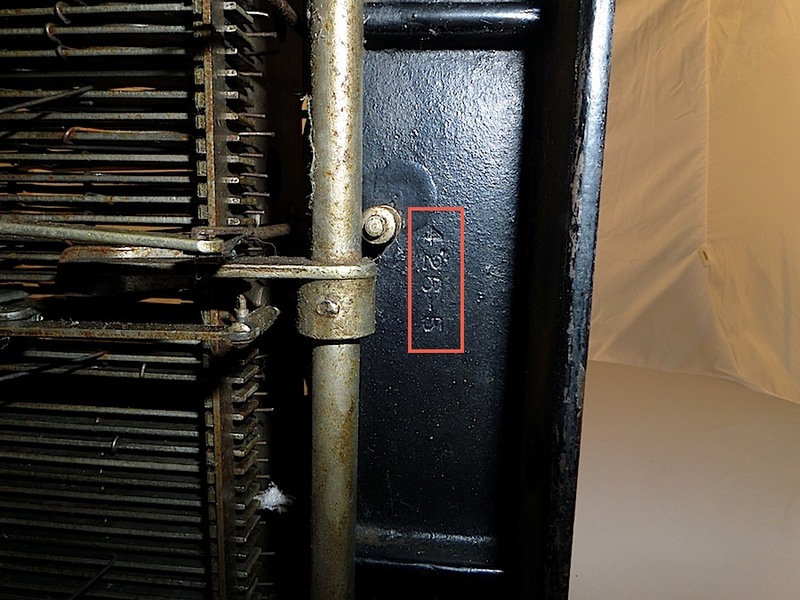 Regarding serial numbers on Reliance’s predessor, Herman Price writes, “The Pittsburg serial numbers may be located inside the machine or on the top left frame behind the ribbon. The typebasket has its own number. It would only match the machine number if it is the original typebasket from point of sale. 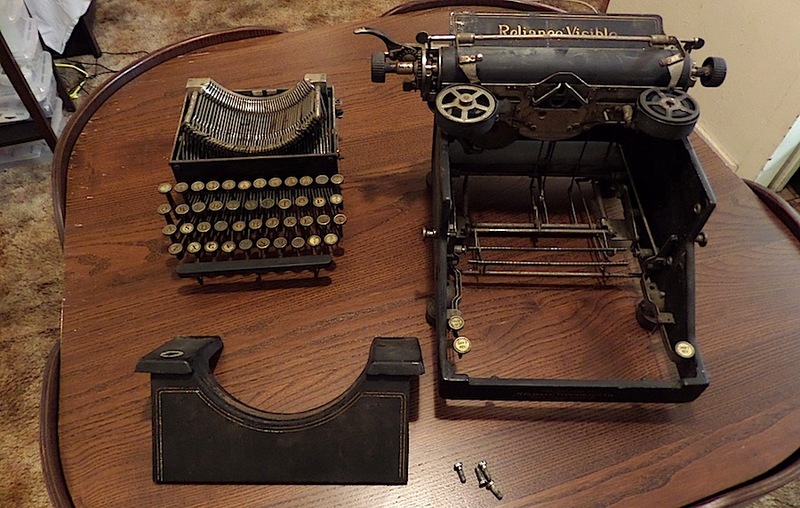 One selling feature of the machine was the interchangeable typebasket.”4 There is no serial number in any of those places on the frame of my Reliance, but I’ll keep looking. 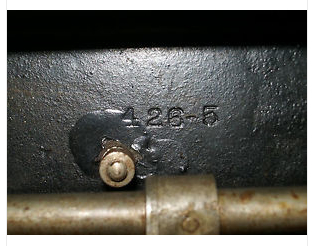 The numbers 426-5 are stamped twice on the frame, but it has been suggested (see comments below) that these might be numbers that appear on the casting of all Reliances. Update: This is so. I’ve located another machine on eBay in England that has this mark. Photo by Etsy seller Burlap & Brass. 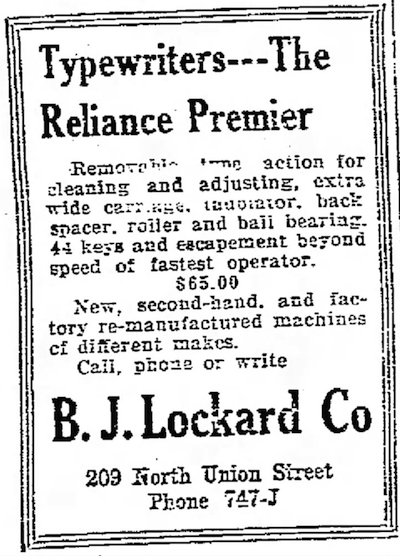 An advertisement featuring the “new style” Reliance Premier (another labeling of this machine), from The State Journal, Raleigh, North Carolina — Sept. 24, 1915. 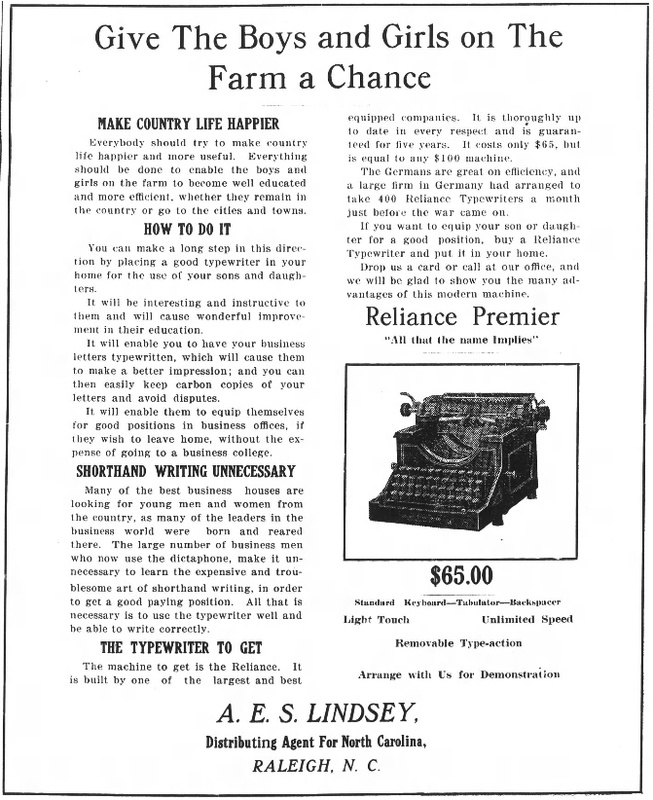 The same ad was placed in the Oct. 1, 1915, edition of The State Journal. Times Herald, Olean, New York – Feb 21, 1916. This ad was placed several times in this newspaper in February. This advertisement was featured in several periodicals, including the Santa Fe Magazine in 1916. The Pittsburgh Press – Nov 28, 1916. The Pittsburgh Press – May 18, 1917. Does the labeling, “Reliance Premier,” mark this as a very early Reliance Visible? Unfortunately, the eBay seller did not note the serial number. Same casting mark as on my machine. This could be the serial number on the machine: 42604? Or is that 426-5, as on the other side of the machine? Only an archive image, so no enlargement available. The Reliance Visible has some nice flourishes. The almost matte finish of the machine seems to accumulate a lot of grime. A casting number is located in two places on my machine, including the back underside here. 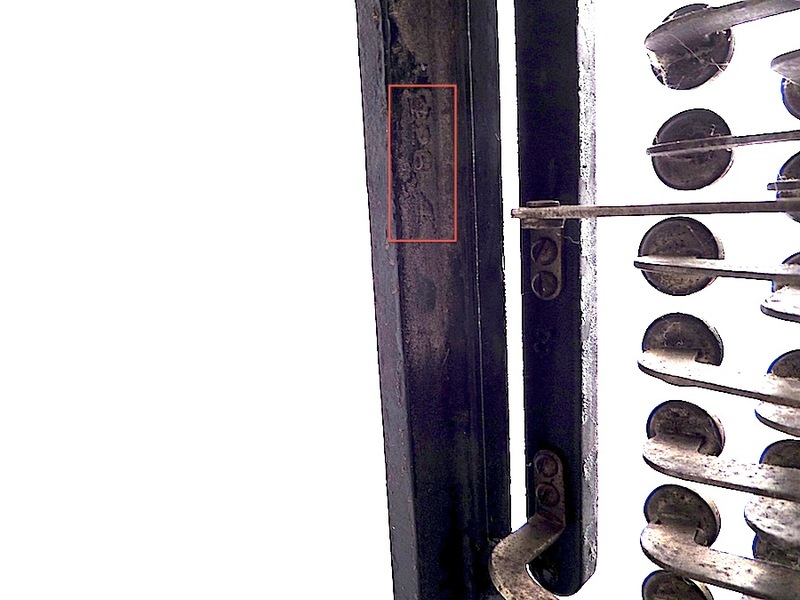 The number is also located on the front underside of the machine, but not so clearly visible. The interchangeable typebasket on my “new style” machine. This typewriter has a lot of character. I have my doubts about that number — I think it may just be a number that appears on that casting on all Reliances. I don’t have one so I can’t check. Looking again, there is a serial number on the typebasket, 51982, which I didn’t see previously because I never removed the typebasket. I suppose I’ll go with that number now. My Reliance is a “new style” machine, according to Price’s website, and to change out the typebasket, one has to loosen four screws. On the “old style” one simply pulls a key at the top of the keyboard. I’ll update my blog post soon with photos, and maybe a video. This article has been updated with new information, advertisements and images. Richard, dead right about the casting numbers. Found same numbers on machine on eBay. Early advertising suggests the “old style” was sold early on, in 1915. 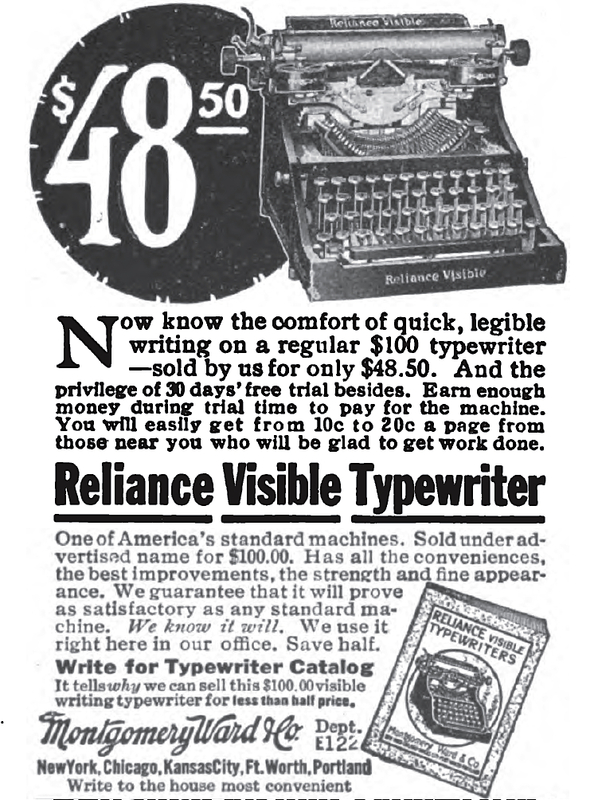 What does the Reliance Visible sell for these days? I’ve seen them sell from $150 to $200, but in what condition I don’t really know. Modestly rare machines, but not impossible to locate. Thought as much. I like it go or $80 and am sure I could have gotten $150. I just picked up a Reliance Visible yesterday. It’s the old style with the key that releases the basket. 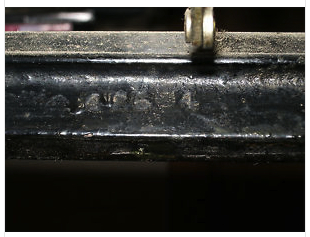 The frame’s serial number is on a tab that anchors the universal bar/space/bar/tabulator and protrudes inside the machine toward the back on the right side. I don’t know if they kept the same SN location on the later style Reliance, but in case they did, I wanted to share the information. My serial number is 59xxx, so higher than your machine’s. It was great to find your gallery — I hadn’t known about the removable type basket, which makes cleaning the Reliance a snap compared with most other machines of a similar vintage I’ve come across. Thanks for the info, I will have to check. I located a serial number on the removable type basket, but I’ve been wondering if the serial number there was for the basket only. Will look for serial number on frame. And yes, the removable type basket does make cleaning the Reliance a snap. It’s a shame this idea didn’t catch on! Just purchased a “new style” Reliance Visible. Any suggestion on how best to remove the carriage from the machine? I found a Reliance Visible with removable basket. It’s pretty dirty, found # on basket, 56588. It has a broken strap attached to some type of disc or wheel behind a gear on the inside back left under the carriage and supposed to attach to carriage on right end it appears. I know nothing about this thing and I’d love to see a manual and/or drawings for it. Previous post: The Remie Scout Model.